To celebrate (and to participate in #TwelveLoaves) I decided to use some fresh strawberries. It won’t be long and we will be picking fresh berries. Oh, I relish the day. I guess you would say this recipe is adapted from an adaptation. In the microwave, melt coconut oil in a large measuring cup; remove and let cool slightly. Add milk to coconut oil and whisk. Add egg, yolk, and almond extract and whisk well to combine. In a separate bowl, whisk together dry ingredients (flour, sugar, baking powder, and salt). Add milk mixture and stir until just combined. Gently fold in strawberries. Make topping. Whisk together flour, powdered sugar, cinnamon and salt. Add melted butter and stir together with a fork. Topping will be crumbly. Top each muffin with a generous amount of the topping. Bake until golden and a wooden pick inserted into center of muffin comes out clean, 18-20 minutes. Cool in pan for 15 minutes and then carefully remove to wire racks. #TwelveLoaves is a monthly bread baking party created by Lora from Cake Duchess. #TwelveLoaves runs so smoothly thanks to the help of the lovely Renee from Magnolia Days and this month the fabulous Alice of Hip Foodie Mom. 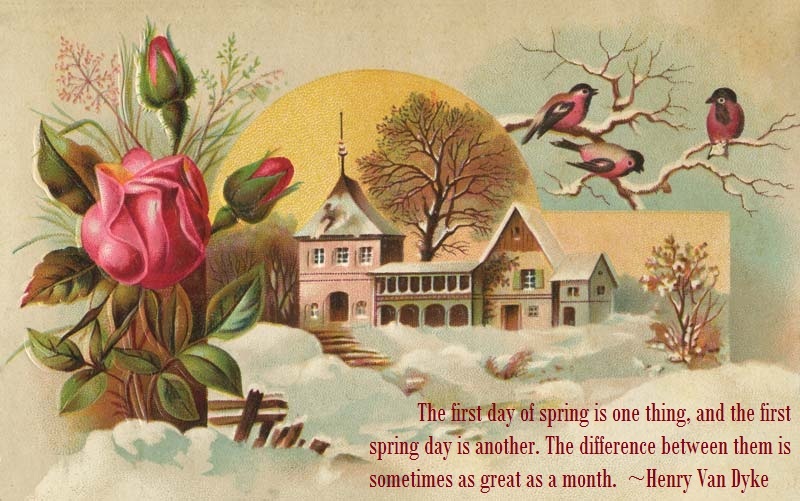 Happy First Day of Spring, everyone! It has been a long time coming. Let us hope that the snow is behind us. I wonder why strawberry muffins aren’t just as popular as blueberry muffins. Beautiful berry muffins, Debra. You need to put more streusel topping for me. I agree about the streusel. Usually, I have more to spread around. 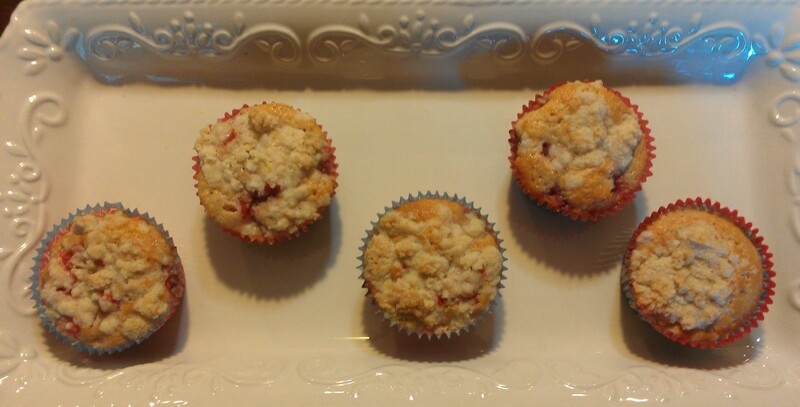 I use the same streusel topping recipe for all my muffins. I guess these just made more. Happy Spring! I love seeing the robins, we have a field of them now. Lovin’ those muffins too! OK—Just got back from a fabulous Spring Break trip (but I think I have established that fact in the comments) and it is 35 degrees here! What???? Sus magdalenas se ven deliciosas me encantan,abrazos. Happy Spring, Debra!!! 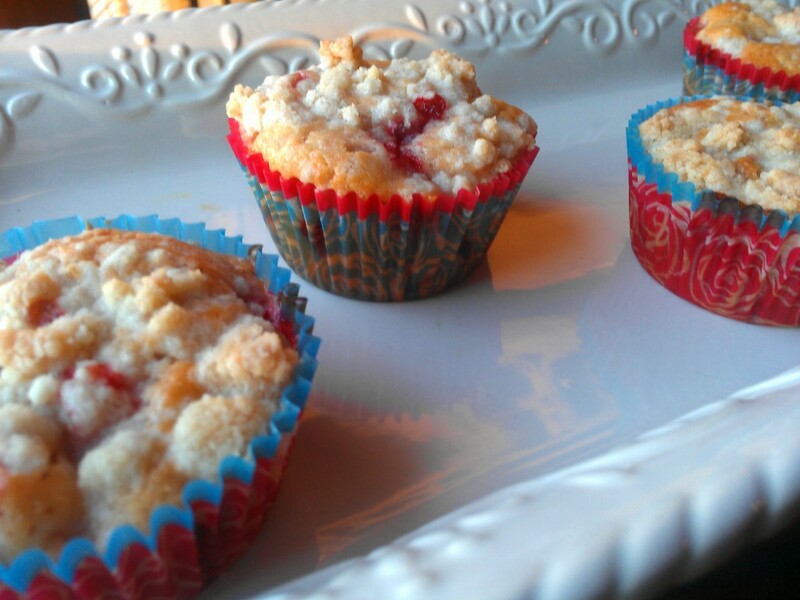 I can’t think of a better way to welcome the season than with Strawberry Muffins! I still have a bit of snow in the yard but I did finally get out to the garden and I think I spied a few leaves popping up from the Oriental Poppies. I had to chase the chipmunk out of the strawberry patch too but that’s a “game” we play every year, lol…Thank you so much for sharing, Debra. Happy Spring! My surprise lillies are already up. I just ate some pickled green strawberries at a restaurant. More about that later, but I am dying to try these. These sound wonderful. I can’t wait for the local berries either! Me, too, Chris. There is a town south of us that has a strawberry festival and their berries are shipped up to us. I have bought two flats before and was uber busy making jam! Thanks, Deb. Hope you try them. Are berries prolific in Hawaii? 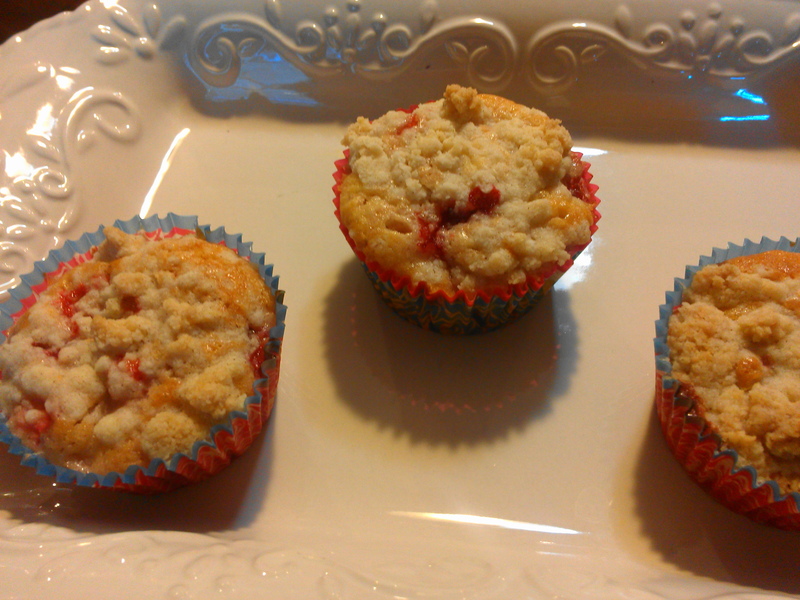 I’ve never had strawberry muffins before but these look so wonderful – I’m going to set out to have some. Yay it is finally spring, but cold today – and apparently tomorrow too. I’m not much of a muffin eater but I would refuse eating a couple of these!